Camping without the C, just add a G! Stick with me as you read this post because there is a fun giveaway involved. But first, let give you a little background. I got my first taste of camping, not to be confused with glamping, when I was a Girl Scout. I can still remember my mother helping me compile all of the gear that she thought I was going to need before sending me out the door to some God forsaken place in the middle of nowhere. The place where I’d live for a week without running water, my nice comfy bed, less than average meals, and my younger sister to antagonize, or vice versa. It always seemed like the planned group camping trips were like living nightmares. Too many bugs and humidity, what seemed like never-ending rain storms, burnt marshmallows (and food), and back aches from sleeping on the ground for one too many days in a row. It wasn’t until I was a teenager that I realized that camping could be fun. Especially, if you were the one planning the adventure. A few of us girls would occasionally load up our backpacks and hike into the wooded hills behind my house. Once we located the perfect spot to set up camp, we would build temporary shelters, start our own campfires, cook our own meals, share ghost stories, and experience our first real taste of independence. Looking back, I’m surprised our parents let us go, but I am so glad that they did. Now, fast forward about thirty plus years. One of these days (soon) I hope to experience my first taste of glamping. Camping without the C, just add a G! To glamp means that you don’t have to live without some of the comforts of home. 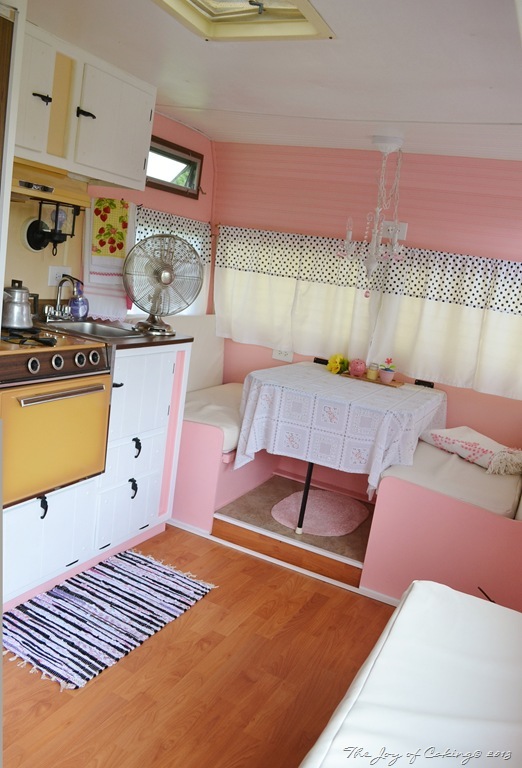 When I glamp it will be in the Pink Paradise. I’ll have bed with comfy warm blankets to cuddle in, a small kitchen to cook in, a table to play cards and games at, a stereo to rock and roll too, lot’s of wine in the fridge, and yes – even a flushing toilet. Running water – yea! So, what does a girl (like me) that wants to glamp do to prepare for her first glamping trip? She seeks out expert advise on the subject, more specifically – advise from the popular MaryJane Butters. Most of you are probably very familiar with MaryJane Butters. She is a very impressive and successful lady. I was amazed as I read about her life and all of her accomplishments. So, trust me when I tell you that she is the authority on glamping. 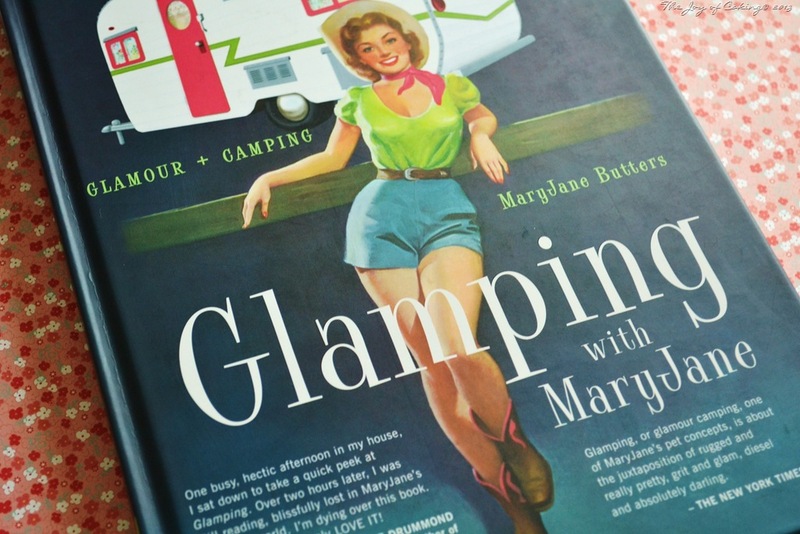 And I know this because I just finished reading her book – Glamping with MaryJane! MaryJane’s book covers (pretty much) everything you will ever need to know if you want to glamp – seriously! She will tell you how to buy and restore a camper, hitch one up, and winterize it to boot. If you don’t have a camper, don’t shy away, she also has a section on backyard and tent glamping too. And if you’re looking for tips on housekeeping, laundry, bathing, decorating, crafting, what to pack, safety, mechanics, cooking, recipes, entertainment, junktiquing, places to glamp, and traveling with kids and dogs you will find it in this 224 page book. Need I say more? 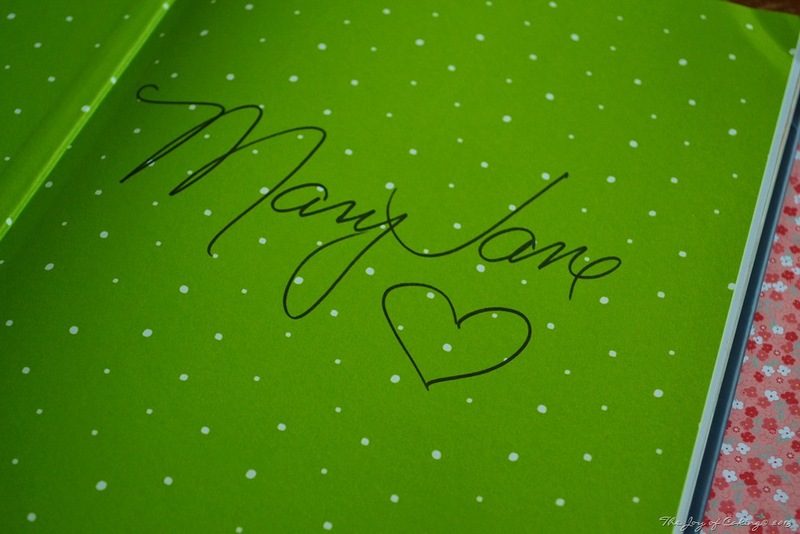 MaryJane recently sent me a signed copy of her book to scour through. I am so grateful for the chance to have read it. As part of our agreement, I am ready to pass this book on to one of my lucky readers. While I’m sad that I will be parting with it; I’m as equally excited that I will be passing it on to one of you. And I know the lucky winner will appreciate it as much as I have. To enter this giveaway simply tell me this… What is the one thing you could not live without if/when you camp or glamp? This giveaway is open to US residents only. The giveaway will end on Sunday, July 28, 2013. The lucky winner will be announced sometime thereafter. Spam comments will not be published. Good Luck! I received this book to review and giveaway. I was not compensated for this post, and the opinions herein are all mine. Comments are closed, and this contest is officially over. The lucky winner is Wrangler Mama. Congratulations!!! For camping, it would be toilet paper. No leaves for me! My luck it would be poison ivy. There’s a limit to my desire to “rough it.” In fact, I hope I never go camping again! But for glamping, ah, that deserves a more decadent answer: my down pillow. I’ll admit I’d never even heard of glamping until I started reading about the Pink Paradise..I had to google it – duh. Now that I am fully enlightened, glamping is something to add to the bucket list! You make it sound so good, Eileen! Wait — can I change my answer? I’d have to take YOU, with all of your yummy baked goods, fresh brewed coffee, etc.! The one thing I couldn’t live without while camping was mosquito spray. LOL Maybe silly but oh gosh nothing worse than enjoying a beautiful campfire, mug of nice hot coffee freshly made over the fire and having these danged disease carrying pests poking away at me. I so love Mary Jane and her chat site http://www.maryjanesfarm.org. You don’t have to be a farmgirl to be a member and it’s free to join. She’s one seriously cool lady. It’s a toss up between coffee and my cast iron dutch oven. I love drinking coffee by the creek in the morning. An entire meal can be made in the cast iron while playing with the grandbabies! The one thing I could not live without, while camping (aside from bedding), is fresh coffee in the morning. We have always made it over the fire. The one thing I could not live without is really good coffee. I love the smell of it in the morning (Just like the old Folgers commercials) and that smell is especially good when coupled with the smell of forest pines. So many things I need to camp…. going for basics I guess running water would be at the top of my list. As I am a night owl, a good flashlight/lantern! A door to shut so that the bears can’t easily get in? Naw, even more than that, glass wine glasses and real coffee cups. And wine and coffee to put in them! My vintage picnic basket that is always packed with the essentials to eat at the table..an .old embroidered tablecloth, silverware, plates, cutlery, cutting board, matches, ect. Can set up lunch with a quick stop on the way for cheese, crackers fruit and drink. Then I am ready to make camp after that! I would want a nice fluffy comforter! After years of sleeping on the ground I was happy to get a small trailer that had a bed. After years of having a small trailer we upgraded to a larger one with a toilet/shower and can now officially claim that I am SPOILED!! I can’t imagine going camping without a toilet again. I couldn’t live without my morning cup of coffee!! My cat Bella She is my constant companion. Tent camping, I must have my Big Agnus sleeping bag to keep warm on those chilly nights. I love to wake up in the morning and breath in that cool crisp air and snuggle down in my sleeping bag! The one thing I could not live without is toilet paper. Drip dry works but, I hate to get personal here but you need paper for the rest. We don’t camp much anymore cause of my husbands health but we are able to sleep in our yard when its too hot inside. We have enough oxygen hose to go the length of our yard. We also have a tipi that we set up too. So nice. My camera and batteries that are charged, those are the essentials for my camping trip. The rest of the stuff is liable to be just so much extra. I don’t mind being grungy and grumpy if I can have a great shot to remember my trip. Water. Simple, but need it to survive especially in the backcountry. When camping(haven’t Glamped yet) I most appreciate a hot shower when I get a chance. Hot tea for me. Would love to win this and give to my dearest friend. She was widowed 3 years ago and gave up camping ten years ago to take care of an ailing hubby. She would be great at glamping. Since glamping is included so all life support items and things that make comfortable camping will be there. In this case, I would not go without my camera. This was a challenging question for me. I did not realize how many things I can go without, but I would have to say toilet paper is the one thing I really need to have. I have traveled international to Africa, and around Europe. Toilet paper or tissues are in my pocket, purse, car, etc…always! Hmm, what couldn’t I live without? My iPad comes to mind but I have lived for several days in a row without that on at least one sad occasion. So the answer- my dogs! Camping without them would not be any fun. I couldn’t live without my pinecone fire starters! Even many years in Girl Scouts didn’t help my inability to master starting campfires! The one thing I can’t live without when camping is a CAMPFIRE! It’s just too sad when the fire danger is so high that you aren’t allowed a campfire. 😦 I just love cooking on the open flame. The one thing that I could not live without would be my trailer. I can’t imagine glamping without one. I want protection from all the creatures! I cannot live without my castiron skillet on a camping trip. But a good skillet is essential wherever I go! I love to cook bacon on the open fire! A private, indoor, toilet! The trailer in the picture reminds me of the first place I lived, after getting married and moving to my husbands family ranch. We bought my Uncle’s gutted trailer. It was a long cold winter, I’ll never forget how creative we can be when financially challenged. It would be a shower 😉 I love to make sure all of the sweat of the day doesn’t follow me into my nice clean bed! It’s a toss up between T.P. and coffee I can’t imagine life without either one! The above posts seem so sensible, but honestly, I have to have my vintage tablecloths. I take my whole stack – which is about 8? 10? – and I use them everywhere! On the table in the camper, on the table outside the camper, on the picnic tables, on the ground for the kids to play on, on the ground for picnics when we’re hiking. It’s a glamping must-have! Our pop up bit the dust a few years ago and I have been looking for a vintage one to glamp up. This book would probably point me in the right directions. I prefer to have some showers and flushing toilets available. And if I can plug in a coffee maker I am even happier. Negatory ghost rider! I’m not going back down to a tent! I went from a tent to a motor home as a kid and I am not going back to a tent. I want at least a floor and air conditioning. We live in Florida. I could not even imagine sleeping in a tent with a husband who’d really never camped and two girly girl daughters who at the time were 5 and 7. So we went on a search and found a pop up trailer and in the 19 months we owned it we went 24 times. The kids started to become involved in other things and promotions at work and aging parents caused a long gap in our adventures. We just purchased a travel trailer and I am putting my homey touches to it. I’d have to say I could probably do without the air conditioning at times (in January). But I will not give up my floor. It keeps you away from the critters and the wet. All the rest, from the floor up, for me, IS glamping. I figured a good way to store your wine in the trailer as it moves is to use those old (clean) socks from the hospital to cover the precious cargo, there’s no chance of “loosing” one. Because now, camping is about good wine, good food and good friends. Well, I’d have to say real wine glasses – wine is NOT the same in a camping cup! Gotta have priorities …. We have a teardrop trailer, so I would give anything to have a toilet. Can’t wait till we upgrade to a toy hauler. Good coffee, a comfy lawn chair, some wine & cheese and a great read! I would have to say a place to stand up straight while changing. Camping in a teardrop trailer is great, except when you have to change! I would really miss my internet….not the phone, but the internet!!! I know…..but I would love to go glamping. Either matches or a lighter to start a fire. I have not mastered the skill of starting a friction fire. Something to do. I want to be sewing, quilting, crocheting, reading, doing word puzzles, etc. to relax me. I would want a little stash of fun projects on hand at all times. Since I c/glamp with kids. I’d say glow sticks. Seems like a weird necessity but attach them to the kids and they can be found in the dark. Make glowing paths to the tent, potty, whatever. The opportunity to use a real toilet makes camping bearable! The one thing I can not live without when camping/glamping is a good ole’ all-purpose Bandana – able to hold back your hair, work as a sweatband, serve as a wipe, dishtowel or washcloth, double as a knapsack or carryall, create a small shade, work as a tie-strap and even assist in emergency need of a sling, bandage or medical brace. The call has even risen for use as a makeshift toddler’s diaper! Yep, a three pack of bandanas well worth their weight in cotton! Thank you so much for having this give away! I heard about it through Mary on facebook! I have to have two things – a well stocked kitchen and a comfortable place to sleep! We are just learning how to camp in high country with our horses so good food and good sleep are my priorities. That and a good trail horse. We could really use this book to update our 1979 GMC motorhome lovingly referred to as the “Scooby-Do mobile”. The ‘thing’ I could not live without would be … my family. My husband and sons. It wouldnt be a perfect glamping trip unless I had my family with me. We love to camp and that quality time that we can spend together is so precious because it’s so seldom that we have time to get away and go together. Currently we tent camp and love it but we’re working on getting the perfect little vintage camper to fix up. Cant wait for that ! I’d have to say that running water would be one thing I could not live without when camping/glamping. We depend so much on water for so many things, and being able to wash off the grime of the day, clean dishes and make coffee with our own water supply makes everything much more enjoyable when camping. A crank radio. The one with the flashlight and battery charger and stuff. They are pricey, but well worth it. Our must have for camping. The one thing I can’t live without is access to a bathroom area. If it was a singular overnight stay I could probably rough it but anything over that its really nice to have access to a toilet/running water/shower. I could probably wash in a lake area but at some point a shower is preferred. I can’t sleep without my homeade camping quilt, I even hand quilted it. Portable Shower. If for nothing else other than to clean my feet. I can’t stand dirty feet. I’m pretty sure I’m not alone in this…. I don’t have this book yet! But it’s on my wishlist! I hope I win! I need my “soap on a rope”! An old Girl Scout trick – put the bar soap in an old stocking (cut one leg off an old pair of panythose), tie a knot to keep the soap in place and then tie the other end of the stocking to a tree limb or the sink so it doesn’t fall in the dirt and get all nasty. toilet paper for sure…oh yes been there. I agree with Debbie….coffee coffee coffee! It is so relaxing to wake up before anyone else and sit outside with my cup while overlooking the lake. We also drink it at night. The one thing I couldn’t live without would be my best glamping partner, my mom! She knows how to do everything! The one thing I have to take with me is my watercolors,, It speaks to my soul to be free of household chore’s and just let the breeze, the chirping birds and the stillness from within come out on to paper giving what I feel life. My first thought was comfort. Which encompasses many aspects, a shower, a toilet, electricity, a “my” clean bed and being able to cook my own food. So I don’t know if comfort qualifies a “one” thing I couldn’t live without but I have trailer camped and tent camped and the two are miles apart! It’s kinda’ crazy-sounding – but my essential oils! They are my all-natural meds and first aid kit! The very first thing that popped into my head was my yarn…but on the practical side I would have to say running water! I travel with my business and do events and I am wanting to fix up a camper to travel with! The first thing that popped into my head in answer to your question was toilet paper! Need I say more??! 🙂 My husband & I would love to buy a little used camper and (try to) make it look as nice as yours does! The book looks like a great resource! It’s very good of you to pass it on! I could not live without my Glamping buddy “Charlie”- my boston terrier! He loves to go camping! I also have to take my Mary Jane’s Farm magazine’s with me while I have time to kick back, relax, and read! Color me crazy, but I could not live without my toothbrush–somehow if my mouth feels clean I can overlook some of the other makeshift amenities like casual showers, creative toilets, and air conditioning. We are avid campers ! My one ‘must have’ thing when camping is my iron skillet my husband bought us when we first got married ! That thing has traveled the states ! Nothing taste better than cooking outdoors in your iron skillet ! Cornbread, fried taters n onions, fresh fish ! I would LOVE LOVE LOVE this book ! One thing I couldn’t live without is my husband. He’s my best friend! Number two would be AC! I am going to be new to glamping! We are looking for a trailer now to glamp and this book would be a fantastic help to me!!!! My guess is that I will have to have a shower and private place to go potty…..
Ditto the toilet and shower! A this point I would have to say that not counting the tent, I can’t live without an air mattress. LOL… As I am no longer 18 ; ) my back is pretty insistent upon the air mattress. Makes for a much happier camping mama! I have to have the fixings for smores!! Since I was a child in girl scouts, camping was never camping without marshmallows! There was a time (when I was, oh, FOUR!) when bathing in the wash tub was part of the fun. Now, a toilet & shower, or even toilet/shower room, are a must. I recently moved into a rental with the hopes of buying some day. Love the acreage and room for critters, but in March had plumbing problems and had to go 18 DAYS peeing in a bucket and sponge bathing at the kitchen sink. This is not ok, and now, even camping will require a flushable toilet and a shower. I have been searching for a fixer-upper trailer (love my crank-up Coleman, but I am wasting 1/2 the weekends setting it up and taking it down when I really just want to relax), and am even considering refurshing a horse trailer! *refurbishing*, yes, I can spell. Good Grief! My camera has to be with me. There is so much out there to be captured for future memories! I can’t go anywhere without my camera. I have to have it with me! Camping/glamping is the perfect time to have it. I just can’t go more than a day without a shower. I’ve tried. In grad school, we used to camp a lot at Lake Tahoe and I could only substitute a dip in the lake for some many days before I needed a REAL shower. The one thing would be clean water! Oh The one and only thing I can not go without is my cast Iron 12in Dutch oven! I can find things to put in it or boil water or well just plain survive. I think the hardest thing to do without would be comfy pillows for sitting. I love sitting out in the great outdoors, but suffering from Lupus as I do, comfort is a major issue. So lots of softness and comfy places to sit and relax, read, soak in nature….. have a nice cup of coffee and just listening to nature around me………… ah…… think it’s time for another glamping trip! Would love to have this to enjoy to help make a girls camping trip. !!! I really do like electricity. I can do without it for a day or two but then I need to get back to some sort of comfort. We usually stay in state forest campgrounds which just have pit toilets and no power. This year we stayed in state parks where there is power and flush toilets. And showers! We tent camp and good air mattresses have changed my life! The one thing I could not live without, well two things, a pad of paper and a pencil. I always have to record my thoughts, feelings and the daily events. I also always have the best ideas when I am free from the stresses of home and work! A warm fuzzy blanket would be at the top of my list, so we can leave the windows open to hear the music of the night. Toothbrush, I have to have my own personal toothbrush(no sharing!) Toothpaste is an extra added bonus. Hot shower is icing on the cake. It is tough to think of just one thing I could not live without when we are camping in our toy hauler. Although we have everything right down to a microwave, I guess my morning coffee would be at the top of the list of “must haves”. It is nice to have electricity; just plug in the coffeemaker, and I am good!